Hepatitis means injury to the liver with inflammation to the liver cells caused by viruses and can lead to fibrosis, cirrhosis and liver cancer. There are five main types of hepatitis- A, B, C, D and E. Hepatitis A and E are highly infectious, caused by ingestion of contaminated food and water. Hepatitis B, C and D are caused by parenteral contact with infected body fluids like blood. These viruses can be transmitted via receipt of contaminated blood and blood products. Since monsoons are here, there is a lot of exposure to many infectious diseases. 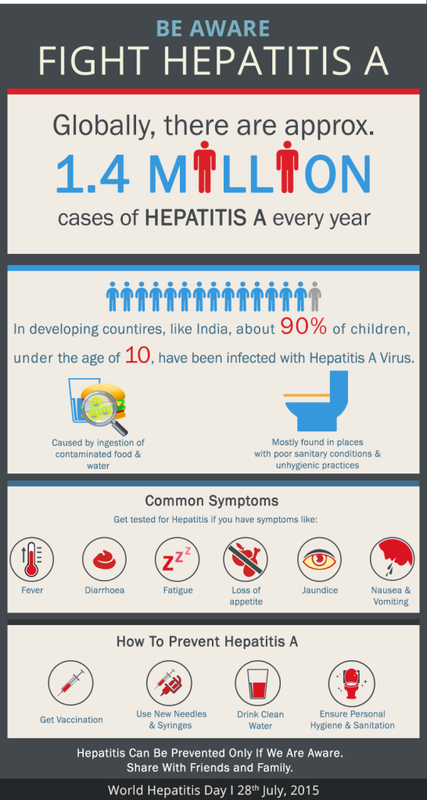 Hepatitis A is caused by the Hepatitis A Virus (HAV) and is highly contagious. The HAV is found in the feces of people with HAV infection. It enters through the mouth after someone holds, eats or drinks anything contaminated with HAV. Contaminated food or water – Hepatitis A is spread through the ingestion of food or water contaminated with Hepatitis A Virus. This can be due to poor sanitary conditions and poor personal hygiene. 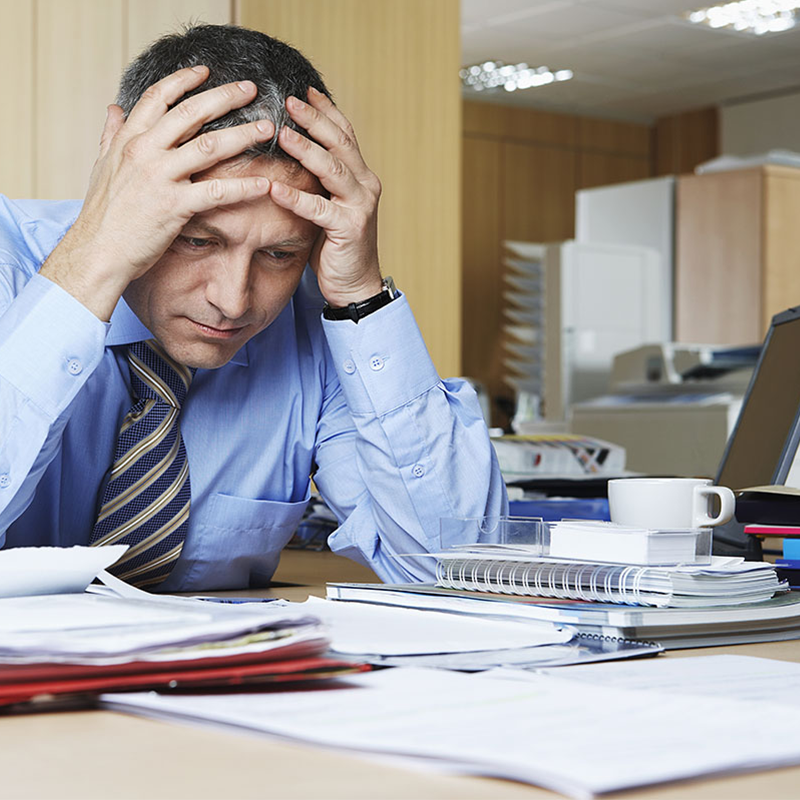 A person suffering from this disease may or may not show clear symptoms. Moreover, the symptoms don’t show up in an infected person for a few weeks. He/she may have a mild illness for a few weeks or may have severe illness that lasts several months. The diagnosis of Hepatitis A is done through a blood test. Test: HAV, IgG Antibody, Serum Antibody to Hepatitis A, IgG. The technique used for these tests is Microparticle Enzyme Immunoassay. Test: HAV, IgG, Antibody, Serum Antibody to Hepatitis A, IgM. CMIA technique is used for these tests. Getting the vaccination for Hepatitis A is the best way to prevent it. Though the vaccines are usually given during infancy, it is recommended that if a person has not got the vaccination in his childhood, he/she should get the vaccine immediately. World Hepatitis Day on July 28 is organized every year to increase awareness and understanding of viral hepatitis. Hepatitis is not a life-threatening disease. Just being a little careful and cautious during monsoons can really help you enjoy this season to the fullest. Stay infection free by eating healthy and keeping your surroundings clean. Wish you a safe monsoon! Posted on July 21, 2015 August 14, 2015 Categories Cancer Research and DiagnosticsLeave a comment on Breast Cancer: Who Is At The Risk? A cancer is called estrogen-receptor-positive (ER+) or progesterone- receptor-positive (PR+) if it has receptors for estrogen or progesterone respectively. Roughly two out of every three breast cancers test positive for hormone receptors. As with the HER2 gene, there can be too many copies of the EGFR (Epidermal Growth Factor Receptor) gene, sometimes known as the HER1 gene in some breast cancer cells—known as EGFR amplification—which affects how the cancer cells behave. The HER2 (human epidermal growth factor receptor 2) gene makes HER2 protein receptors on breast cells. Normally, HER2 receptors help control how a healthy breast cell grows, divides and repairs itself. But in about 25% of breast cancers, the HER2 gene doesn’t work correctly and makes too many copies of itself (gene amplification) leading to HER2 protein overexpression. This makes breast cells grow and divide in an uncontrolled way. When breast cancer cells test negative for estrogen receptors (ER-), progesterone receptors (PR-), and HER2 (HER2-), the cancer is triple-negative. Triple- negative breast cancer does not respond to hormonal therapy (such as tamoxifen or aromatase inhibitors) or therapies that target HER2 receptors, such as H ercep-tin (chemical name: trastuzumab). 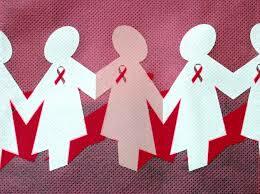 However, other medicines can be used to treat triple- negative breast cancer. Cancer is currently the cause of 12% of all deaths worldwide. You must be aware that breast cancer is one of the most common and emerging cancers all over the world. 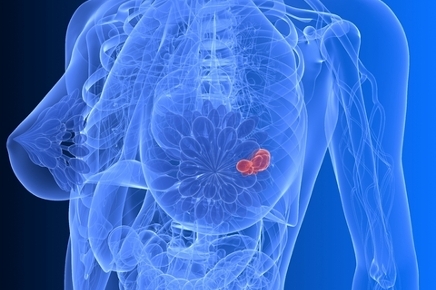 Around 21 different breast cancer genes have been studied in relation to hereditary cancer syndrome. Among these genes, Breast Cancer Susceptibility Gene 1 (BRCA1) and Breast Cancer Susceptibility Gene 2 (BRCA2) have been significantly associated with familial risk for breast/ovarian cancer. The gene locus for BRCA1 is 17q21. BRCA1 is a large gene, with 24 exons encoding a 220 kD nuclear protein (1863 amino acids). Gene locus for BRCA2 is 13q12.3. It encodes for 384 kD nuclear protein (3418 amino acids). BRCA2 contains 27 exons spread over 70 kb of genomic DNA. Over 1000 different mutations in BRCA1 and BRCA2 gene are reported till date. Screening of these mutations aids in assessing the familial risk for Breast Cancer. With the growing awareness of Breast Cancer and its genetic links, there has been interest for screening BRCA1 and BRCA2 gene mutations, particularly in high-risk patients with family history.